Are you sick of black bags? I know the consumer world is pretty sick of them and I personally am rather bored of black bags, despite my collection of (you guessed it) black bags. I am also vegetarian, one of the non leather wearing vegetarians, for which for quality non-leather laptop bags means a never ending disappointment of cheap rubbish. You can sometimes find me in Debenhams sniff testing (yep, its leather) the new season, dubious behaviour that is yet to conclude with security being called. Thankfully I can now stop looking over my shoulder as my new Brenthaven Slim Brief is here. Brenthaven, an American company that specialise in a number of bespoke Laptop / iPad bags, caught my eye earlier this year. I asked them to review a laptop bag from their Collins range, so this is a review of the Collins Slim Brief, a stylish compact laptop bag in indigo blue, made of vegan leather. Since its arrival in late March I have been using this bag for travels through the USA, Netherlands, Italy and the Czech Republic. It comfortably takes a 15” Macbook Pro, all leads and accessories and can include my Bose QC15 child cancelling headphones in their case, with a squeeze. The surface materials, clasps, zips and trim are all to a very high standard and the pockets are generous, with ample room for paperwork, pens, Fiio X5 audio player (iTunes is a total drag don’t you know) passport, business cards and even more. The interior feels like a well-made bed, with soft cushioned fabrics to cosy your computer whilst into sleep mode. 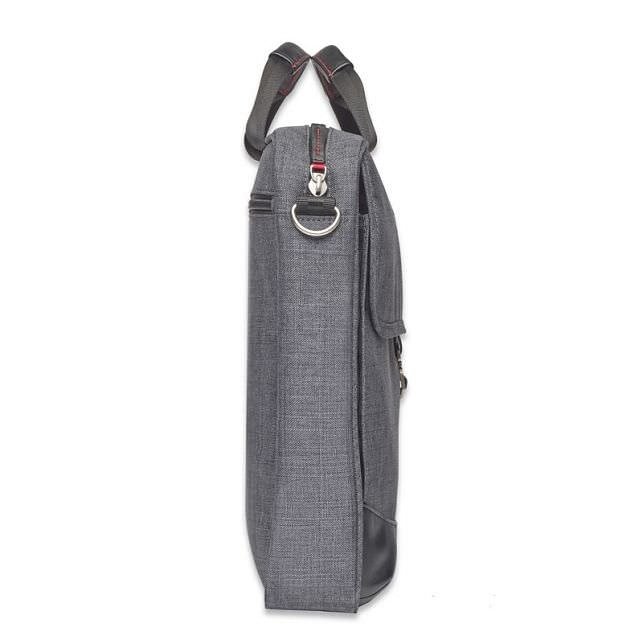 It’s got a soft pin stripe look, with pockets galore for all those modern accoutrements. Finally, if you havent caught on by now, and like me you avoid leather goods, then you will be please to know that the Collins Slim Brief is animal friendly. 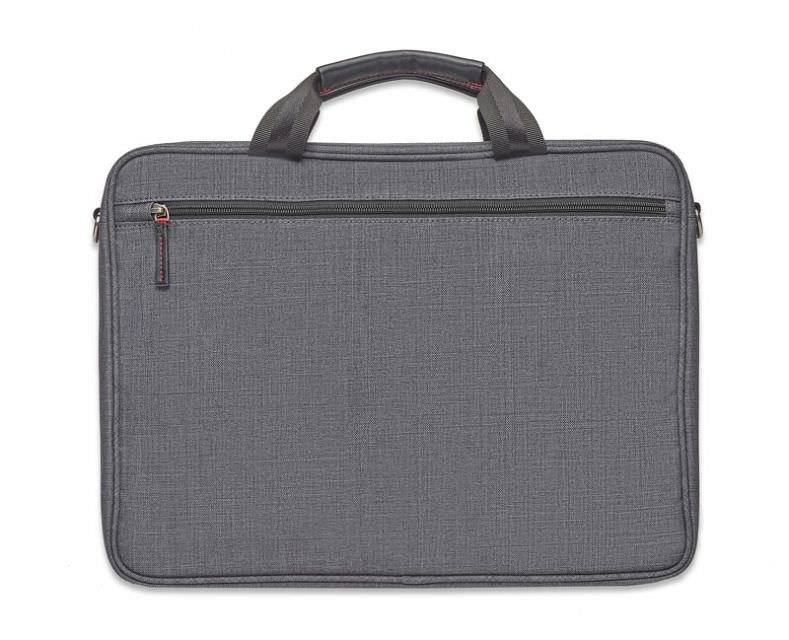 Getting a high quality non leather laptop bag is not very easy these days, so it was really great to see a forward thinking company keeping the design of the bag free from leather, even down to the trim and edges. 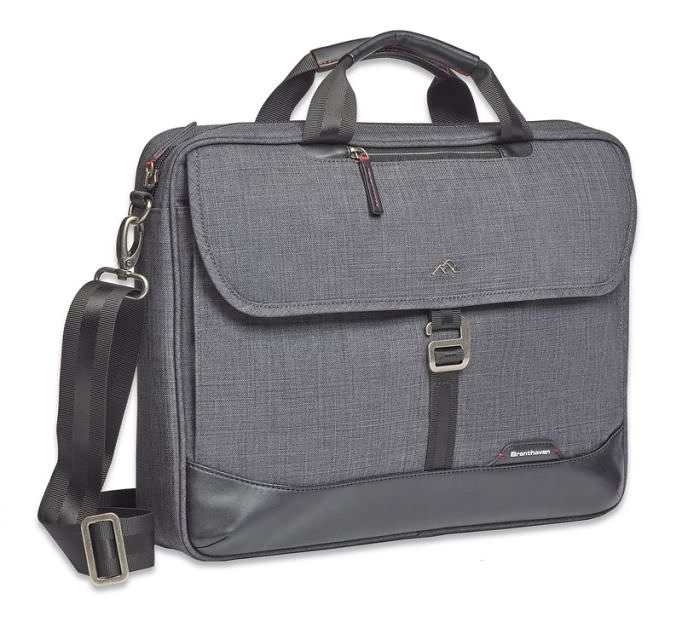 A great bag, superb quality a good price and a quality build – Brenthaven have made a stylish and practical laptop bag that I will use for all my travels in the foreseeable future.